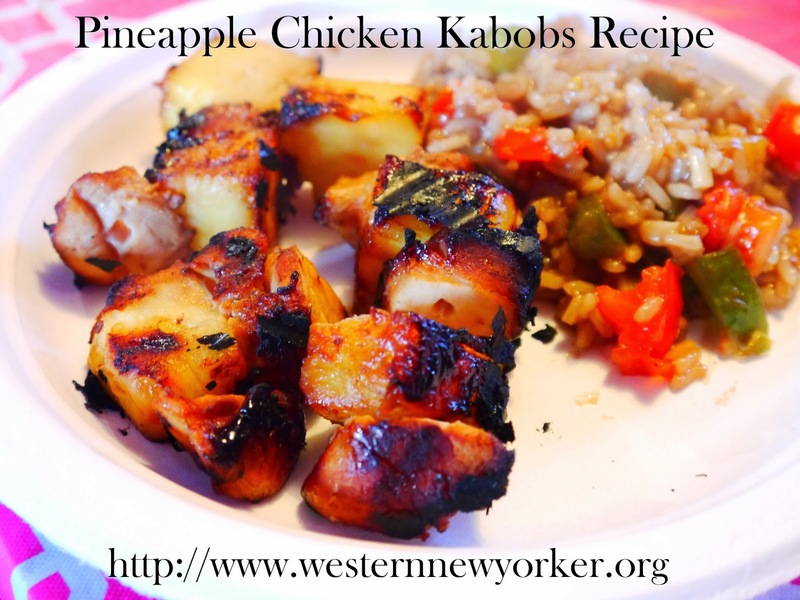 Pineapple Chicken Kabobs Recipe Originally shared here. Mix all marinade ingredients. Pour over chicken. Add chicken and pineapple to skewers. This looks so yummy.... i hope i can get the crispy part on my chicken like this.... looks great! These look so amazing. I would love to add some fresh veggies like onions, cucumbers, carrots, peppers and zuchinni as well. I think this is the perfect weekend to test this out. Got a date night with my hubby on saturday and we're just renting some movies and having a nice dinner. This is perfect. Loving this recipe.